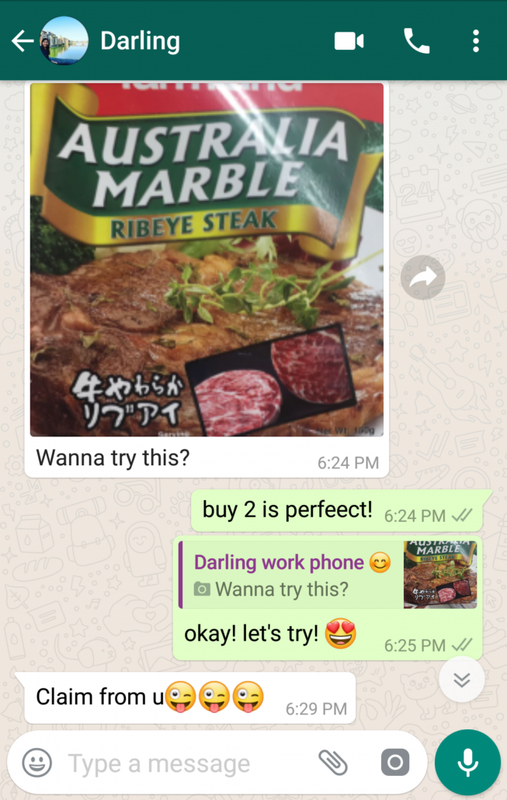 So she bought one to try! 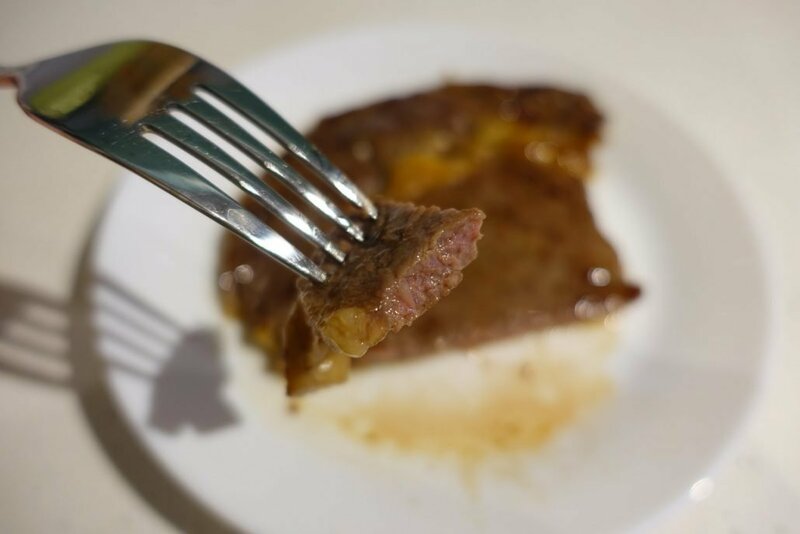 I marinated the beef with 1 tsp of teriyaki sauce and pan-fried on a non-stick pan for 1 minute on each side (⚠️more details on how to cook this steak perfectly at end of the post). No oil is needed as the meat will produce sufficient oil during cooking. I will drool just by staring at the steak! Still been skeptical about the quality of the meat, upon my first bite, I was blown away by the juiciness and tenderness of the meat! When I sunk my teeth into this tender meat, the meat juice will just explode in my mouth. Mmmmm, Mama Mia! I am really drooling now! So which is better? Ribeye or Sirloin? 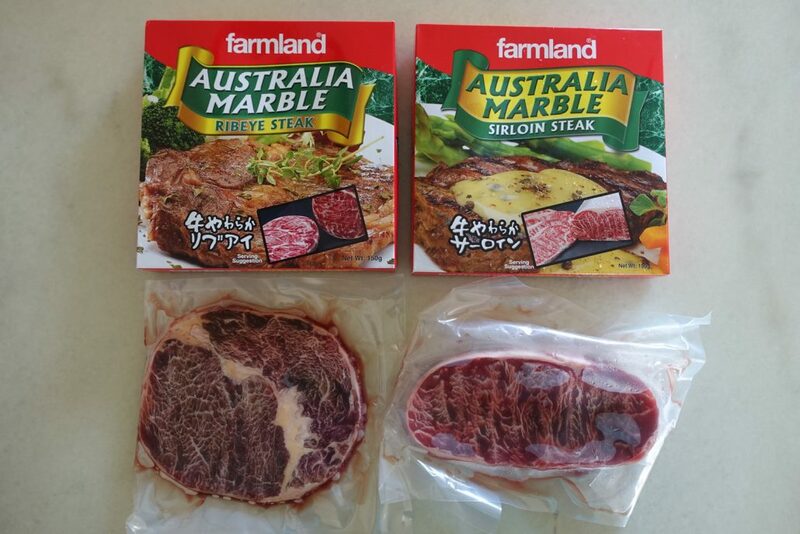 We had a side to side comparison for both cuts and we realized that ribeye is juicier but also more oily. Sirloin, on the other hand, is less oily but also drier. Therefore, if you want to be less sinful, choose sirloin steak! 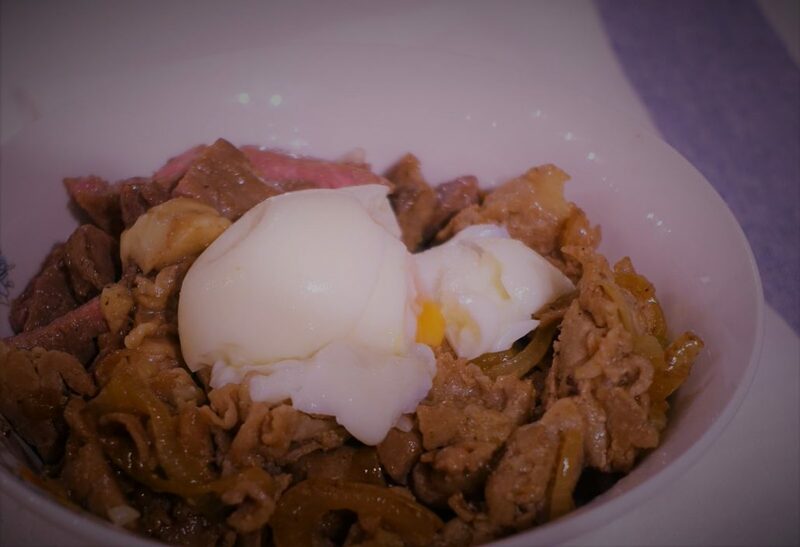 Use it for your homemade Yakiniku Don! Preheat the frying pan using high flame first. 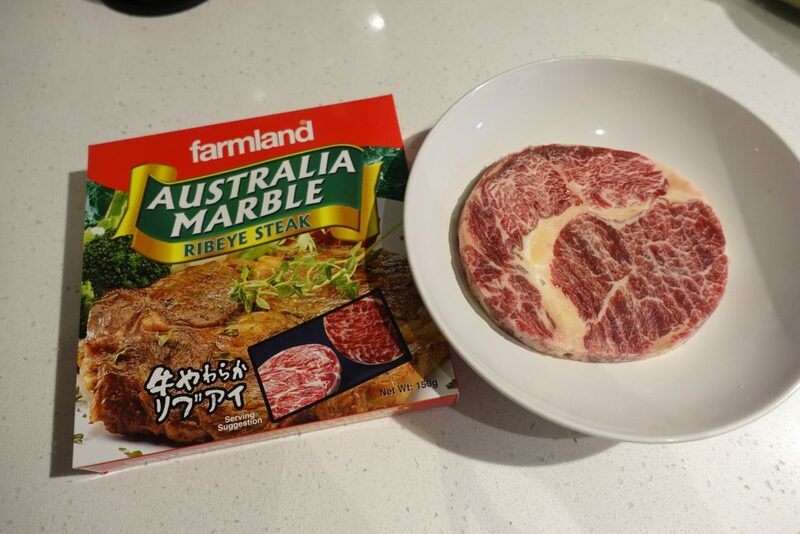 Place the steak into the frying pan for about 1 minute. Flip the steak over and continue to cook for another 30seconds. Adjust the flame to low and continue to cook for another 1 to 2 minutes. (Depends on your preference for rare, medium or well done). Remove the steak and serve it hot. Preheat the non-stick pan using high-heat. 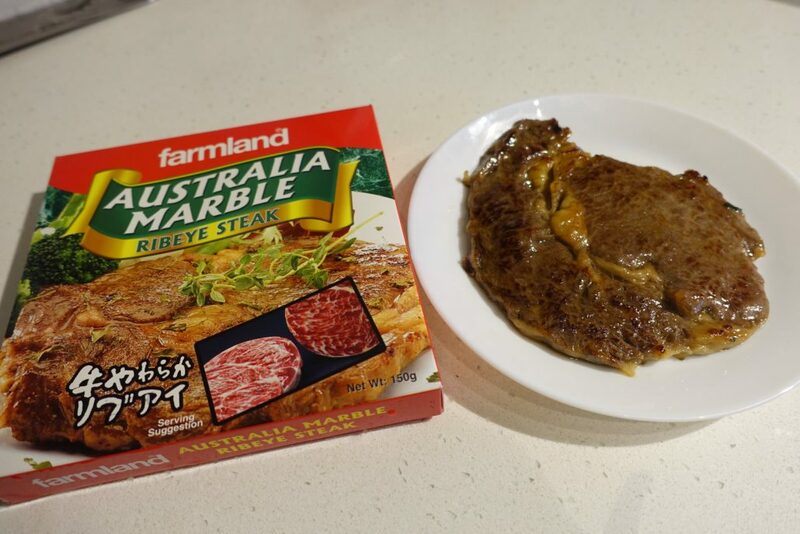 Place the steak into the heated pan and grill for 30 seconds. Flip the steak over and grill for another 1 minute. Flip the steak back again and grill for another 30 seconds. Timing: I personally felt that the timing provided by the packaging is a little bit too long. 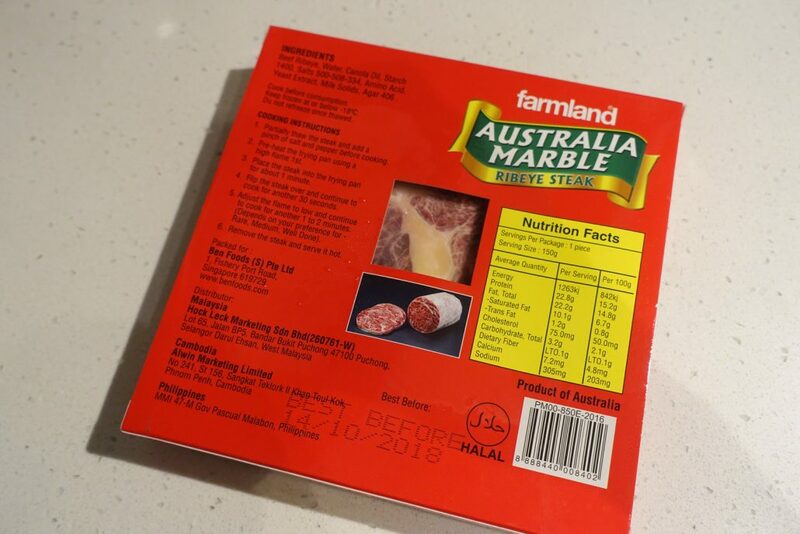 This will risk having your steak to be overcooked and the meat won’t be tender anymore. 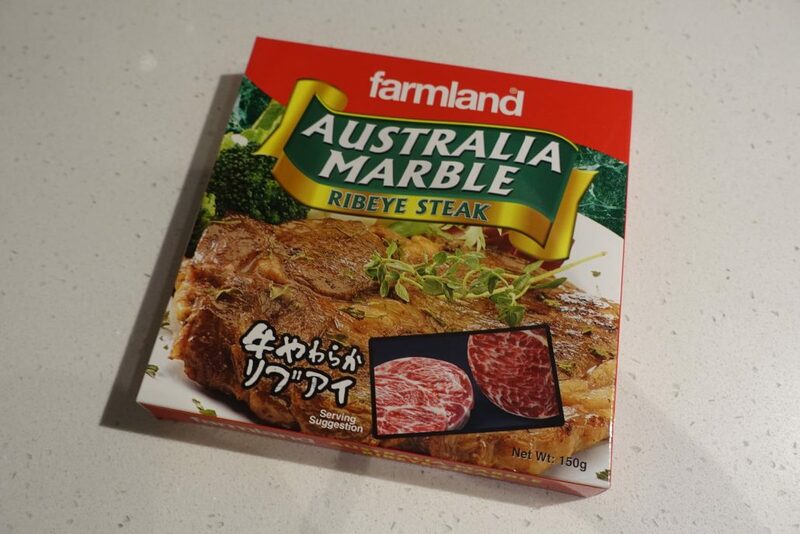 Additional flipping of the steak: This is a very important step to follow as it will seal up the meat efficiently and thus locking the juice essence within the steak! 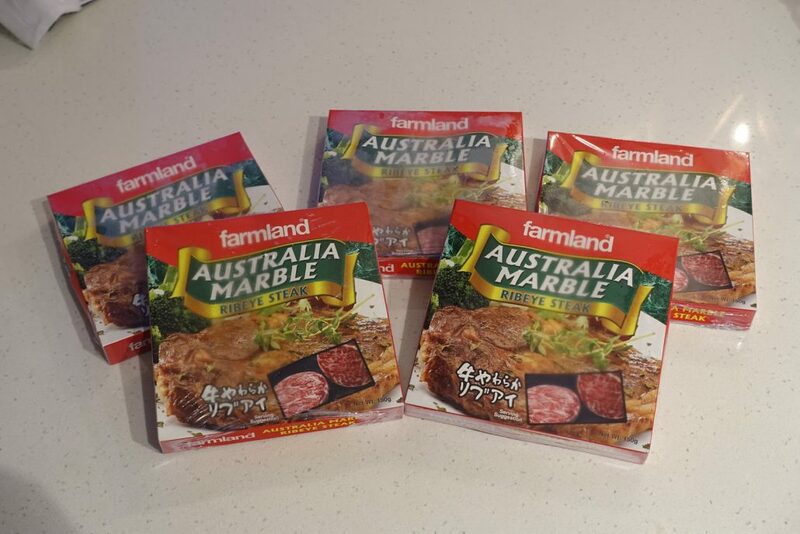 Any idea if this is real or artificial marbling?